Right from the start we have known that the best thing for families is for each pregnancy to go full term. In the unfortunate event that it doesn’t go to plan, then we are here to provide support (practical and peer), education and guidance to help families through this traumatic time. Professor John Newnham AM together with Deputy Premier, Health Minister Roger Cook MP. In 2013 when we were approached to join the Steering Committee for the WA Preterm Birth Initiative we jumped at the chance. Being part of the preterm birth community we are great advocates and offered the researchers a unique perspective. We also knew just how significant the potential impact could be, not just on families in Western Australia but across Australia and around the world. Professor John Newnham AM and his team at the Women’s and Infants Research Foundation had developed 7 intervention strategies that they believed if implemented effectively, would lower the rate of preterm birth. He and his team set off around WA educating medical professionals on the intervention strategies. They launched a public awareness campaign The Whole Nine Months which we assisted with the promotion of. We know that every day we can prolong a pregnancy is a day a family isn’t worrying in the neonatal unit. Outcomes for babies are significantly better even if the pregnancy is only prolonged for a few days or a week. Throughout this roll out we were cheering them on and hoping that the results would be remarkable!! Professor John Newnham AM, Deputy Premier, Health Minister Roger Cook MP, Amber Bates Chairperson & Co-founder Tiny Sparks WA and Adison Bates. After just 1 year of implementation we were delighted to hear that the rate of preterm birth in WA had been reduced by a staggering 8%. That was a whopping 200 families saved from the impact of prematurity. Saved from watching their baby fight for life in the neonatal unit. Saved from the developmental challenges and medical fragility that face those born preterm. WOW!! 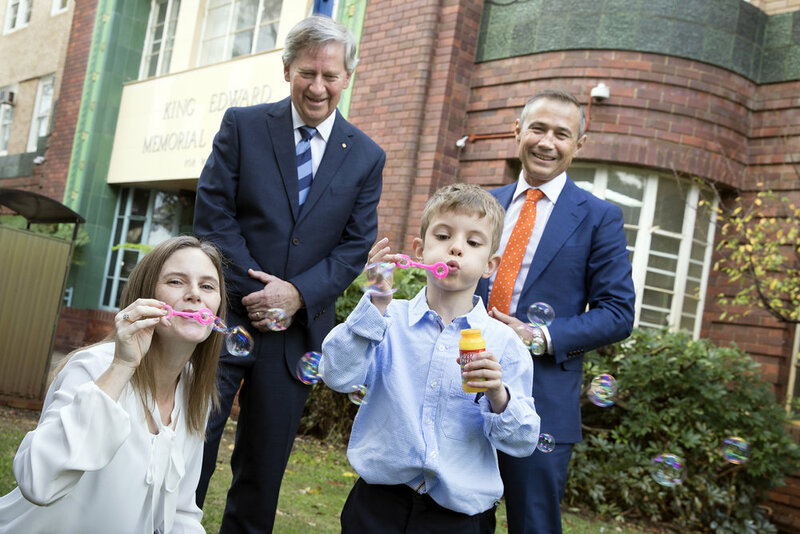 This week we were honoured to stand with Professor John Newnham AM and Deputy Premier, Health Minister Roger Cook MP as they announced the national roll out of the WA Preterm Birth Initiative. What a fabulous day for Australian families!! These strategies once rolled out across the nation have the potential (if similar results can be replicated) to save thousands of babies from preterm birth each year! It has been a privilege to play a very, very small part in this program and we will keep cheering and watching the statistics closely. Prevention of preterm birth is vital.